It was common for American expatriates to visit the U.S. consul- ate in Berlin, but not in the condition exhibited by the man who arrived there on Thursday, June 29, 1933. He was Joseph Schachno, thirty-one years old, a physician from New York who until recently had been practicing medicine in a suburb of Berlin. Now he stood naked in one of the curtained examination rooms on the first floor of the consulate where on more routine days a public-health surgeon would examine visa applicants seeking to immigrate to the United States. The skin had been flayed from much of his body. Two consular officials arrived and entered the examination room. One was George S. Messersmith, America’s consul general for Ger- many since 1930 (no relation to Wilhelm “Willy” Messerschmitt, the German aircraft engineer). As the senior Foreign Service man in Berlin, Messersmith oversaw the ten American consulates located in cities throughout Germany. Beside him stood his vice consul, Raymond Geist. As a rule Geist was cool and unflappable, an ideal subaltern, but Messersmith registered the fact that Geist looked pale and deeply shaken. If this was nine days later, Messersmith wondered, what had the wounds been like immediately after the beating had been delivered? On the night of June 21, Schachno had been visited at his home by a squad of uniformed men responding to an anonymous denun- ciation of him as a potential enemy of the state. The men searched the place, and although they found nothing, they took him to their headquarters. Schachno was ordered to undress and immediately subjected to a severe and prolonged beating by two men with a whip. Afterward, he was released. He somehow made his way to his home, and then he and his wife fled to central Berlin, to the residence of his wife’s mother. He lay in bed for a week. As soon as he felt able, he went to the consulate. Messersmith ordered him taken to a hospital and that day issued him a new U.S. passport. Soon afterward, Schachno and his wife fled to Sweden and then to America. There had been beatings and arrests of American citizens ever since Hitler’s appointment as chancellor in January, but nothing as severe as this—though thousands of native Germans had expe- rienced equally severe treatment, and often far worse. For Messer- smith it was yet another indicator of the reality of life under Hitler. He understood that all this violence represented more than a passing spasm of atrocity. Something fundamental had changed in Germany. But Germany still did not have a U.S. ambassador in residence. The former ambassador, Frederic M. Sackett, had left in March, upon the inauguration of Franklin D. Roosevelt as America’s new president. (Inauguration day in 1933 took place on March 4.) For nearly four months the post had been vacant, and the new appointee was not expected to arrive for another three weeks. Messersmith had no firsthand knowledge of the man, only what he had heard from his many contacts in the State Department. 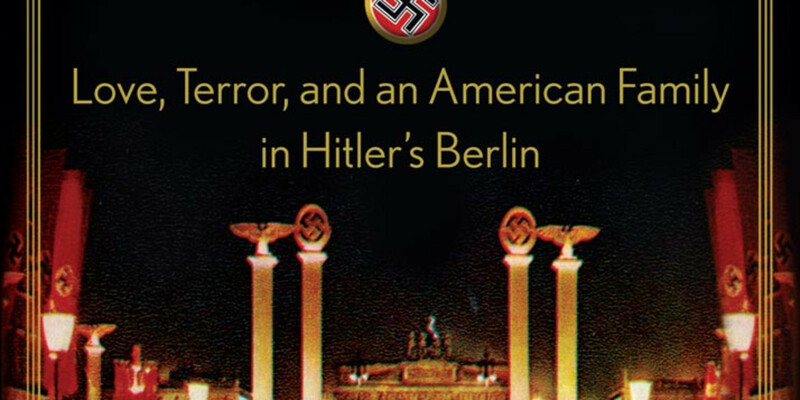 What he did know was that the new ambassador would be entering a cauldron of brutality, corruption, and zealotry and would need to be a man of forceful char- acter capable of projecting American interest and power, for power was all that Hitler and his men understood. And yet the new man was said to be an unassuming sort who had vowed to lead a modest life in Berlin as a gesture to his fel- low Americans left destitute by the Depression. Incredibly, the new ambassador was even shipping his own car to Berlin—a beat-up old Chevrolet—to underscore his frugality. This in a city where Hitler’s men drove about town in giant black touring cars each nearly the size of a city bus.